Choro is often considered to be the Brazilian equivalent of Jazz. Clube do Choro are New Zealand’s very own Brazilian Choro band and it is their mission to spread this exciting music across NZ. 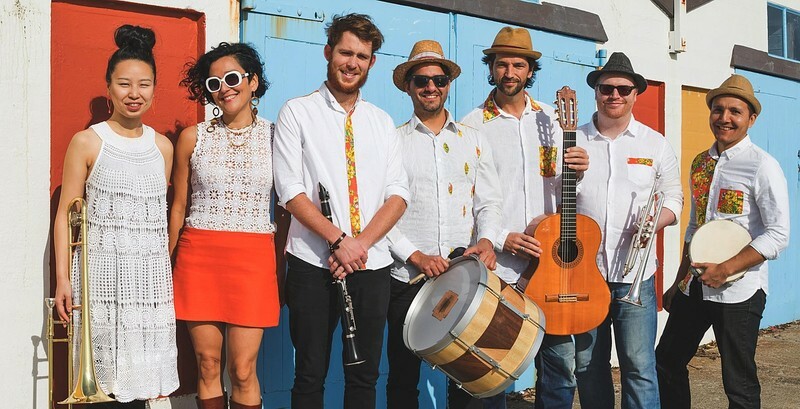 Fuelled by the combination of Brazilian drum (pandeiro), percussive guitar, horns, flute, and vocals, their music is high energy and has been stirring the dance floor in and around the Wellington region since 2009. Some of the bands’ professional musicians take part in other notable Wellington-based groups like the Tunes of I, Big Troubles and Roger Fox Orchestra. Come along and be part of this Latino experience in Cornwall Park, and bring all your friends and family!